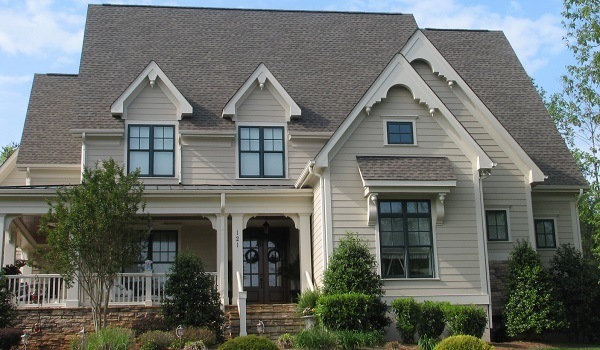 We Can Make Exterior Home Improvement a Reality for Your Charlotte, NC Home With a New Roof, Windows, or Vinyl Siding. Many homeowners in the Charlotte, North Carolina area are tired of the way their home looks from the outside, but aren’t really sure how to change it. At Crown Builders, we can make exterior home improvement a reality for your home with a new roof, windows, and fiber cement or vinyl siding. Roofing – A new roof can instantly change the look of your home. At Crown Builders, our roofing services are second to none. We install new roofs and shingles exactly to manufacturer specifications so our customers are never left with a new roof that looks lopsided or haphazardly installed. Windows – The best thing about new windows for exterior home improvement is that they can improve the exterior of your home as well as the interior. From casement to garden windows, we have every type of window that you can imagine with a variety of arch-styles, shapes, and colors. Vinyl Siding – If you want to make your home stand out in an affordable manner, vinyl siding is the way to do it. Vinyl siding is an affordable material that needs minimal maintenance and comes in an assortment of different colors and styles, so you can make your home look exactly like you want it to. At our company, we treat every home we work on as if it were our own. We have been in business for almost a quarter of a century and know exactly what our customers want when it comes to exterior home improvement. You can expect that our services will be affordable, high quality, and honest. For all your exterior home improvement needs please contact Crown Builders in the surrounding areas of Charlotte, Huntersville, Concord, Gastonia, Matthews and Mooresville, NC.